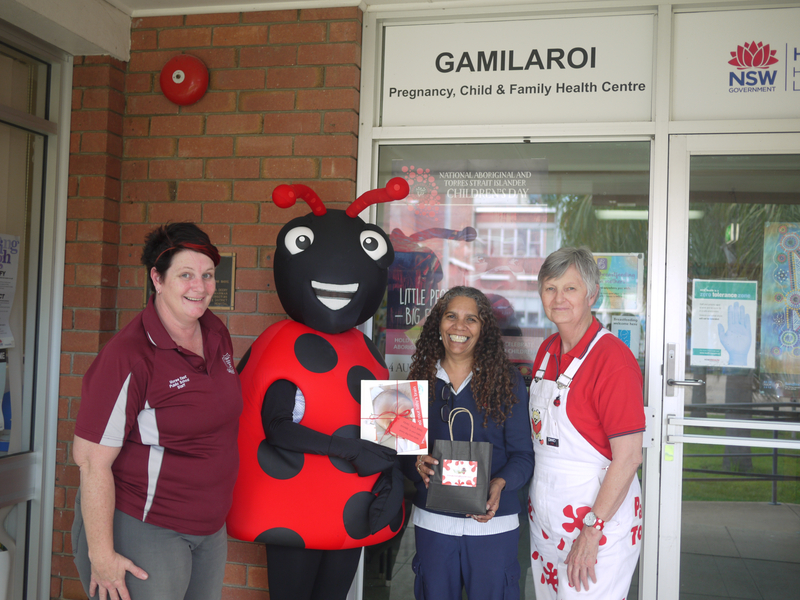 Paint the Town REaD is delighted to announce that Lady Cosgrove has become its Patron. 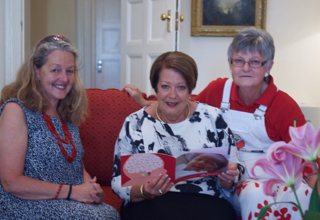 Lady Cosgrove, wife of His Excellency General the Honourable Sir Peter Cosgrove AK MC (Retd), invited Rhonda Brain OAM, Chair of the PTTR Board, and Barbie Bates, its Executive Director, to afternoon tea at Government House in Canberra, to celebrate the new partnership. 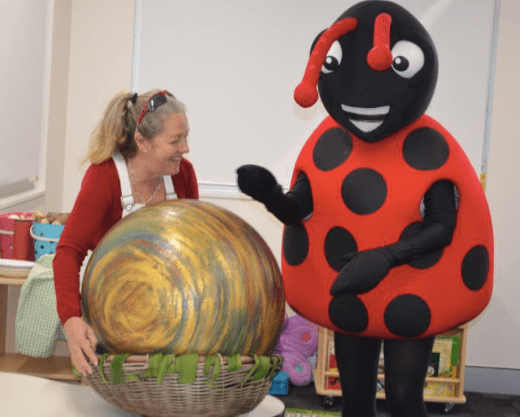 ‘We were thrilled to meet Lady Cosgrove, and to learn that she has such a strong commitment to giving Australia’s children the best start in life,’ said Rhonda Brain after the meeting. 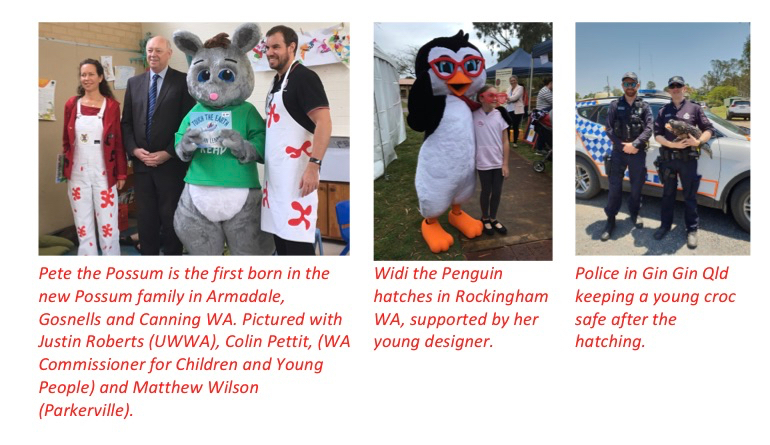 With the spread of PTTR across five States, and Lady Cosgrove’s commitment to family and children, PTTR considers her an ideal national Patron. 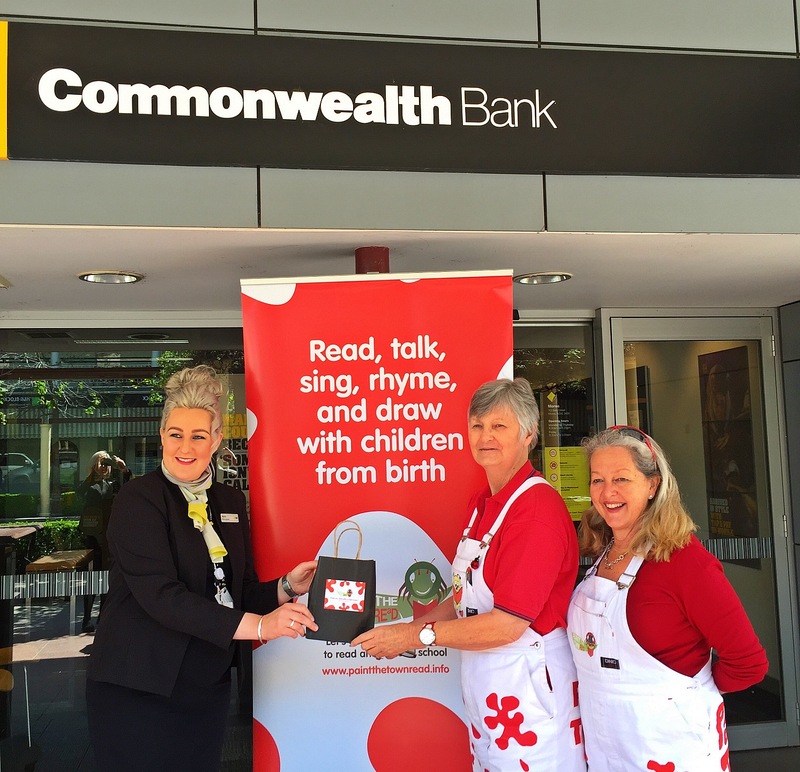 Congratulations to Paint Canterbury REaD in Sydney on the safe arrival of their reading egg. We’re looking forward to finding out the mascot’s name in the New Year, once the children of Canterbury have done their job of reading and singing with the egg to make it grow! 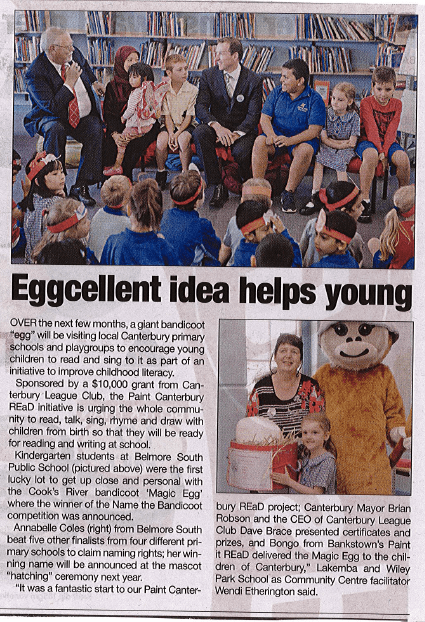 Canterbury Mayor Brian Robson, and CEO of Canterbury Leagues Club, Dave Brace and kindergarten students from Belmore Sth Public School celebrate the egg’s arrival.